Planning a 50th birthday party? 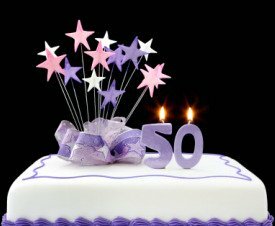 Tips and Ideas for Planning a 50th birthday party. Planning a 50th birthday party is a great way of celebrating the golden milestone. 50 years should give you a lot of ideas and ways to make sure the party goes with a swing. Deciding on your budget when planning a 50th birthday party should be the first task before you begin thinking of ideas. This will give you a good idea of how big (or small! )the party should be, and where you might want to host the party. Will there be lots of family, friends and colleagues there? Or will it be a smaller more intimate gathering? 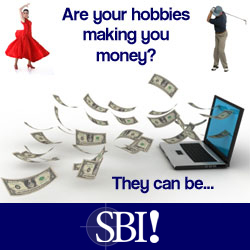 Are you going going for a BIG budget? 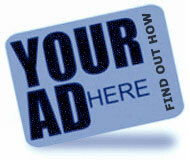 - Hire a venue, hall, pub, restaurant, hotel, marquee, castle, boat? Or should it be a gathering at home or garden? A pub crawl or meal out? Planning a 50th birthday party needs to be done well in advance. You will need to pick a date for the party. It's best to plan well ahead, months if you can. The more organised you can be the better. 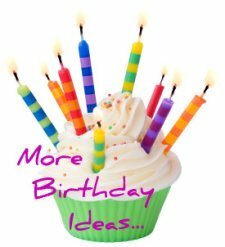 Whilst planning a 50th birthday party, decide whether there be a theme? A 60's or 70's theme is very popular for a 50th birthday party. This theme really honours the years of youth! Other themes could be based on these decades. For example Abba, The Beatles, Dr Who, Star Wars, Easy Rider, Rocky Horror Picture Show. You may want to make it a 70's fancy dress party. Dig out those afro wigs, flares, and platforms. Switch on that larva lamp and pull up a bean bag. A 'This is Your Life' party. This would normally be a surprise party. Invite people they may not have seen for many years. See if you can find guests from their school or university years. Pull together lots of old photographs and memories. Ask people to tell their favourite memories and celebrate key events. You could scan photo's and memories into the computer and create a power point presentation, with music from the time. 'Come as Me' party. This is where all the guests turn up dressed like the host! 'Older Than' party, where you ask the guests to bring something older than the host. Invitations should be sent out well in advance to give every-one chance to get it in their diaries before other events. If you're going for the 70's theme, send out psychedelic or round yellow happy face invites. 50 is a 'Golden' celebration, so you could colour theme the party gold. When you prepare the invitations, ask the guests if they have any old photo's, and could they write down their favourite or funniest memory. These can be put to good use during the party. As in the 'This is Your Life Party' described above, or you can create a book of photo's or memories. Leave this out at the party and ask guests to add to it by writing memories, anecdotes or birthday wishes. If you're on a budget, it's perfectly acceptable to ask guests to bring a bottle or a plate of food. Or if you're going big budget you can hire caterers and save the stress for some-one else. It's a nice idea to welcome all guests with a glass of champagne on arrival. You could ask teenage offspring, your own or friends, to be waitress's or barman for the night.